hours for the next 5-10 years working on or thinking about your business then you may as well make sure you know where you are going with it. Now everyone is different but I find that writing down goals and aspirations helps me to maintain focus on the final destination. You do not want to compete on price. It’s far better to specialise and become the number one choice for your customers in that field. This can be very counterintuitive and will feel uncomfortable for some of you. But remember if this was easy, then everyone would be doing it. You want to be working towards becoming a specialist. When you are a specialist and more importantly the very best in your field, pricing becomes elastic. If you had a busted leg, you’d want a specialist orthopaedic surgeon working on you right? not a GP. Think about that for a moment. Now I’m not saying you need to be the very best in your country, just perceived as the best to your chosen customer niche or in your local area or say within a 100 mile radius of where you live and work. don’t care what camera you are using and most likely haven’t got a clue about sliders, colour grading or any of the other paraphernalia that surrounds video technology. It’s all about them feeling comfortable that you are going to be trustworthy enough and skilled enough to deliver the result they want. They are not looking for you to win your next award off the back of their video production. out you need to ignore everything else and just focus on building a business around that specialism. more. The bottom line, is they get a great deal of value from what we offer to them. We make ourselves invaluable to our clients and we make their life easier and so they keep coming back, because it’s easy. If you read my book "Business for Filmmakers", you will have a deep understanding of how attract clients that come back again and again because you make it easy for them to do business with you. In my own business www.fstopacademy.com, we offer free reports to get you started and then we follow up with email. Only after a two-month period do we begin to offer products for sale. Nobody likes the hard sell without a bit of understanding in advance of who you’re dealing with, and what knowledge and experience you have to offer. Once you’ve created a report and it’s on your website, what happens next? Well, now you have to create a series of emails and an ’opt in’ form so that you can capture the data (contact details) and follow up with that customer regularly via email. So, you may be asking, what exactly is an email auto responder? In simple terms, an email auto responder is a piece of software that allows you to automatically send emails to multiple subscribers at the same time. Your group of subscribers is often known as your ’list’, and in some cases, these lists can grow to many thousands of people. The beauty of this style of marketing is that it’s very efficient because you can send one email to 10,000 people with the click of a mouse. There are numerous companies offering this service. There are two key aspects to working with auto responders. The first part is called an ’opt in’ form. 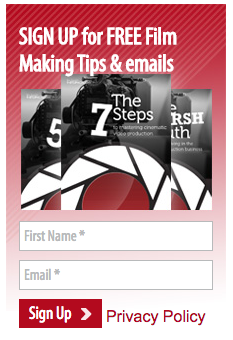 This is the little box which asks for your name and email address, and you need to add this to your web page. This webpage is often known as a landing page and will typically have a headline, a sub headline and a call to action (CTA). The headline is designed to grab the attention of the web visitor, and the sub headline generally offers the information that person might be looking for. The call to action is simply instructions telling the person that if they want the information (free report) they just need to fill in their name and email address in the box and the report will be sent to them immediately. Once this step has been completed, the auto responder will then automatically send the report and all subsequent follow up emails! Magic! There is some work involved in setting up the auto responder sequence explained above, plus you now need to write a number of emails which will be sent at regular intervals once the report has been sent. But once you’ve done it, every time a new subscriber fills out their details on your landing page, the auto responder kicks in and will send out these emails automatically. This means that while you are filming jobs or on holiday, this system communicates with that prospective customer with no additional work from you. I have no idea why more businesses do not use this method, because it’s simple, cheap and a very effective way of nurturing customers, and all of it’s done automatically. These emails then nurture the relationship, leading to, and maybe offering the prospect a chance to give you a call or better still, you contact them at an appropriate time to discuss their project and how you might be able to help them. The advantage of this method of lead nurture is that you get an opportunity to show your personality to the prospect before the point at which you need to get on the phone. Of course, there is no reason why at the end of every email, you have an offer for them to give you a call. For example, you could have a P.S. that says, “if you’re ready to discuss a project, please call and see how I can help you further” and insert your phone number. Identifying what works best for your market is something that you can only develop over time and don’t forget to test. Only send relevant information that directly relates to the initial enquiry. That way you have a greater chance of succeeding in winning the business. I’ve also spoken about our free report that we offer to visitors, and this next chapter is all about how to create that report and how to set up your emails so that they are automated. When you know how, it’s super easy! When someone is searching the internet looking to solve a problem, there is nothing more powerful than landing on a page which not only promises to solve the problem, but actually gives them a free gift which helps them solve it more quickly. This is sometimes known as ’free line content’ or ’lead generator’ and it’s designed to lure your prospect into signing up (or ’opting in’) to receive more information from you. The psychology behind this process is designed to create a good impression with a prospective customer. It also puts you in control early on in the buying cycle. Let me explain: if your ideal client is browsing the internet looking to find a corporate video production company to create a promotional video, and they are using the search term ’corporate video production’, they’ll no doubt have many companies (results) to choose from. Let’s say they then click on two or three different companies. The chances are they will all offer a similar kind of service, including headlines like, ’look at our showreel’, ’click here for a quote…’ and so on. ’Five tips to help you choose a video production company and how to avoid making an expensive mistake!’ I bet they would be intrigued. There is the answer to their problem, and they don’t have to wade through lots of other websites, as they now have a company which offers them a free report that will help them make their decision. It’s your job as a marketer to highlight the pain and then offer an easy solution to help put their mind at ease, especially if you run a professional high quality business that charges premium prices. A second benefit of creating a free report like this is that not many people go to the trouble of doing this, which means you instantly stand out from the rest of the noise. Go now and Google ’corporate video production’ and browse the companies which are advertising. My guess is that very few, if any, are offering this kind of free report on their homepage. This is the biggest and easiest no-brainer that you can apply to your business immediately. It’s very important not to offer anything for sale in this first communication. The psychological purpose of a ’free gift’ is that it offers the client great value and you will have embedded in their mind that you are someone who is willing to help them before any money has exchanged hands. This is a very strong and powerful marketing tool. When someone gives you anything, be it a bottle of wine for dinner or a thank you gift of any description, you feel a great sense of warmth and joy because it is nice to receive presents. If someone buys you lunch, you often have it in your mind that you ’owe’ them a lunch in return. If someone has done a favour for you or helped you out in some way, you are naturally drawn to wanting to help them in return. By creating a free report that helps someone solve a problem (and if they find it helpful) then it’s quite likely you will feature highly on their list of people to contact to carry out the actual work. This is simply human psychology; when you give something away for free, you endear yourself to that person, just by being helpful. In my own business www.fstopacademy.com, we offer free reports to get you started and then we follow up with email. Only after a two-month period do we begin to offer products for sale. Nobody likes the hard sell without a bit of understanding in advance of who you’re dealing with, and what knowledge and experience you have to offer. Once you’ve created a report and it’s on your website, what happens next? Well, now you have to create a series of emails and an ’opt in’ form so that you can capture the data (contact details) and follow up with that customer regularly via email. In simple terms, marketing is simply about putting your message in front of the right customers at the right time, so that when they are ready to make a buying decision, they think of you and call. Marketing is just storytelling. People buy from people and therefore, if you wish to buy from someone, then it makes sense to have a relationship with them. Well executed marketing does just that. It helps you build a relationship with the potential customer, through different means of communicating. I like to compare marketing with fishing. You’re looking to capture a specific type of customer and therefore you want to be looking in the places that they might be. Think about it for a second. If you go fishing for salmon, you choose the right river. You choose the correct fishing rod, you choose the correct bait, and you choose the time of year when the salmon are most likely to be there. There would be no point trying to fish for salmon in a pond full of goldfish. Now, I am not a fisherman, but I imagine that the kind of bait used to catch salmon is not the same kind of bait you would use to catch goldfish. If you take that principle and apply it to your marketplace, what do you get? Sales! If you are in a business that sells wedding films, then who is it that makes the decision to hire you? I’m pretty certain it’s the bride. Therefore, where is the bride likely to be looking when considering her wedding? Notice I said her wedding! If you’re reading this and you are married, you know exactly what I’m talking about. A wedding day is all about the bride. In fact, when I used to shoot weddings, I used to joke with the groom that he was the only person in the room who didn’t get an official invitation. So, in terms of your marketing, the bride and the bride’s mother are likely to be the key influencers in making decisions about who to hire. If you are running a wedding film business, it’s the bride and the bride’s mother who you need to be connecting with. So where are they likely to be looking when planning a wedding? Well any number of places, but more likely they’ll be looking at wedding magazines, going to wedding fayres and probably asking friends who are already married. I’ve chosen weddings here as an example because it’s a particularly competitive market. If you were to Google ’wedding video productions’ in your area, it’s likely there will be quite a number of sites. This gives you some indication that other competing businesses are already doing some form of marketing online. Now, before becoming anxious that there is a lot of competition, this is a good thing. Lots of competition means there’s likely to be lots of business, and the only decision you need to make is where are you going to pitch your business and price point. I’ve had many videographers comment on how hard it is to make money in the wedding sector, and yet I have a couple of friends in the US who routinely charge in excess of $10,000 for a wedding. How? Well, they are exceptional at what they do and offer an exceptional service. Their films are unique, beautiful and epic and are priced accordingly. Don’t forget, a wedding can be a great opportunity for the bride to brag about having the most expensive wedding filmmaker, as this can give her great kudos in some circles. Human beings rarely make decisions on need, it’s much more likely that they make decisions on wants. By that I mean they make decisions based on an emotional reaction (want) rather than a more logical need. This is a critical concept to understand when marketing. A bride, for example, who is planning a wedding, has many things to consider; it’s possible that the wedding video is way down the list of priorities. I’m almost certain that for the groom, it’s an almost non-essential part of the wedding, and that is mostly because he knows it’s likely to cost a lot of money. However if the bride decides she wants the wedding filmed, the groom is more than likely going to agree, because the last thing he wants on his wedding day is an unhappy bride. So what does this have to do with marketing? Well, everything actually, because if you can build a relationship with the bride in advance of her wedding, and she decides that your service is exactly what she wants, then the price almost becomes irrelevant. If you run a wedding film business and you’re not marketing in some form or other, then you are leaving a considerable amount of money on the table.